Espresso machines were placed in the print shop and hardware store. Preserving its original unfinished, rough and worn exterior, the franchise coffee shop in this building welcomes people who could appear to be reluctant to enter. Stores with diverse names and interior spaces have flooded into the neighbourhood, transforming this once quiet town. It has been a few years since a comparable phenomenon began in Korea. The reason why people visit these spaces, like old warehouses or iron foundries that were not built for social gatherings, is not because they miss them from their surroundings. How many people of this generation, who remember going to factories or old shops in Ulchiro when they were young, are now leading the trends of today? Then what is the reason? 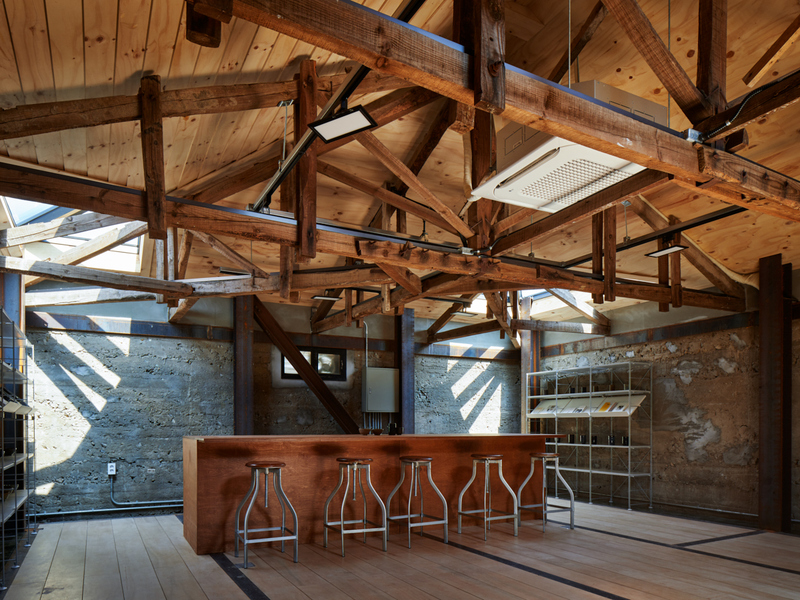 In Namhae, a warehouse has been turned into a gallery and workshop. These questions came back to mind when visiting the site. In the Namhae region, there are many dolchanggoes (stone-made warehouses) built from native bluestone. Before the Namhae Daegyo bridge was constructed in 1973, storage houses for grain and fertilizer were vital to Namhae, an island cut off from the mainland. Among them, the Simoon Dolchanggo and Daejeong Dolchanggo, which were named after local areas, have been selected for the Namhae Dolchanggo project. In the summer of 2016, Choi Seungyong, who majored in culture media production, discovered the abandoned dolchanggoes of Namhae. With ambitious plans to ‘create Michel Foucault’s Heterotopia’, he tracked down the owner and bought them. With ceramist Kim Youngho, various events have been planned and held in these two dolchanggoes. The Namhae Dolchanggo project is an attempt to create a cultural space while residing in Namhae. 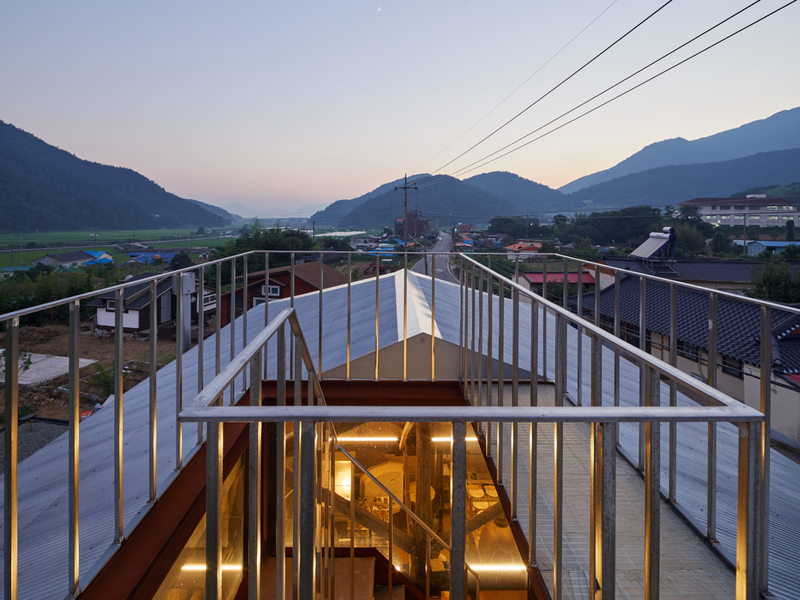 Forming a platform for creative people to showcase their potential to create beautiful things in Namhae, an area surrounded by mountains and the ocean, was an objective that the client and Wise Architecture shared. 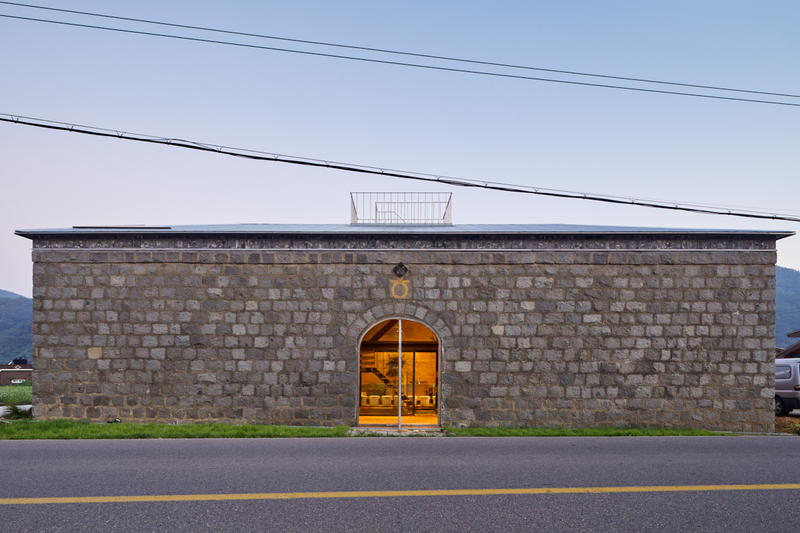 Wise Architecture worked on Daejeong Dolchanggo, which is about 7km away from Simoon Dolchanggo now used as a gallery. Architects and designers have remodelled the old warehouses that are the legacy of the industrial age, such as grain stores transformed into art museums. A case in point is the Baltic Centre of Contemporary Art in Gateshead, England, which was once a milling factory grain warehouse. Heatherwick Studio’s Zeitz MOCAA is another example. Dozens of silos connected to grading towers have been cut so that the sectional shape resembles that of individual grains. On first glance, you may find yourself deeply disappointed when visiting Namhae, imagining a grandiose art museum that would dramatically revive the characteristics of the original space. Namhae Dolchanggo is completely different. They are small and rustic units leaving almost no room for the architect to build on. They are simple rectangular shaped structures lacking any sort of ornamentation. The residents transported these rocks themselves to build the stone wall. Cement, steel, and other architectural resources were of course in rare supply in Namhae back in the 1960s, and the residents manually transported via A-frame the blue rocks broken into cubical shapes by the stonemasons in the quarry. It goes without saying that the shapes are uneven. Young Jang (principal, Wise Architecture), who was in charge of constructing this wall, calls it ‘Namhae stone piling’. 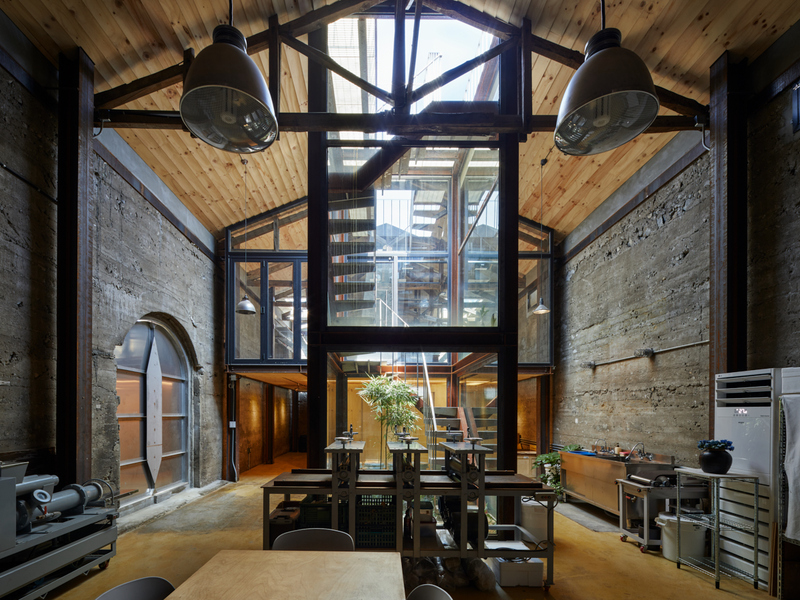 These old warehouses equipped only with jagged walls, a roof, and a door may fail to represent the innovative ideas and hard work shown by the architect, but is in fact a cumbersome project that requires a lot of work. The architect tried to retain as much of the feel of the original Daejeong Dolchanggo as possible. This is why the original brick wall has not been overlaid with a different material. The wooden truss has also been left intact without demolishing any part of it. 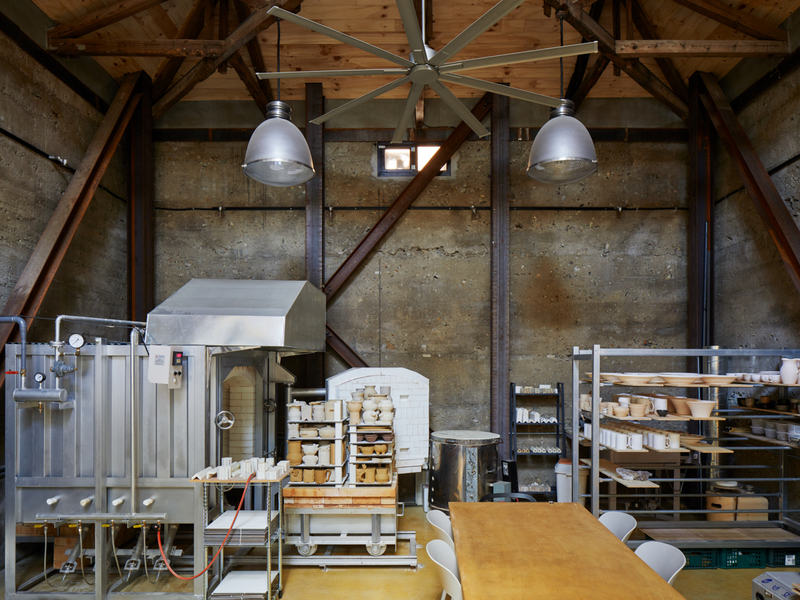 However, different methods of reinforcement were required to transform a space that was once used solely for grain storage purposes in order to make it practical and usable. First off, more stringent earthquake-resistance and insulation standards had to be met to change the purpose of use from a storage facility to a plant. H beams were installed within the walls to create pillars and braces. Insulating materials were put into the walls and roof and the steel truss was strengthened. A water and sewage system was installed for restrooms and working spaces. Electrical work, to suspend pendant lighting, was also an essential task. The foundation was excavated using a mini excavator that was able to get in and out of the door and the roof was completely opened up to install H beams and other materials. The construction took ten months to complete. The client requested a pottery studio and reception room be built. For some, this is a place of business where they come to work and for others this is a destination for a one-time visit to look around – all in all it is a place for people. The architect divided the storage down the centre to create these spaces. A flat surface view of the space reveals that half is given to the pottery and the other half to a reception room. This is the optimal layout for the client, who will mainly spend their time making pottery, aside from conducting workshops, sales activities, and other side activities. A second floor was built in the reception area. This is a unique slab design created using steel frame structures with plywood intermittently installed. The newly build second floor expands the interior area and creates a moving circulation line for visitors. However, this makes the structure lose its unique spatial effect created in the simple cubic structure with windowless high ceilings. Although it is claimed that the original design was altered by only drilling through a part of the second floor surface to finish off the segment entirely with plywood, it’s a bit of a shame. Let’s take a look at the roof again. A small open area is built at the end of the winding stairs. This area resembles a periscope poking its head out of the water. Only one person can stand to look out at the scenery. The roof is only two stories high and this area is too crowded and uncomfortable to be an observatory. The steel grating filled with resin is strange. However, climbing the stairs holding onto the rail and looking out across at the surroundings one is met by the most dramatic experiential space offered to visitors. In fact, Namhae is an unfamiliar and unique place for most of those visiting from urban areas. However, striking the same chord with that unfamiliar feeling, you feel that you are in Namhae as you climb to the rooftop of the storage and look out at the surrounding scenery, mountains, and Daejeong village. Going back to our first question, the recent renovation trend of warehouses and industrial plants seems to stem from the fact that they are high quality spaces. However, meticulously planning and decorating these rough and old structures to highlight their appeal is a difficult task. This is also not something that can be achieved by deliberate design. The walls of Namhae Dolchanggo cannot be built by simply hiring an engineer and this is something the architect learned while repairing Daejeong Dolchanggo. 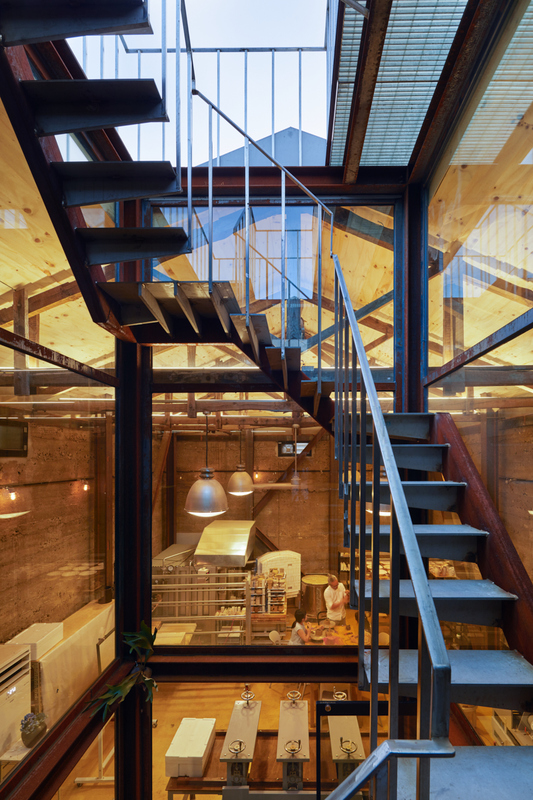 Rusty H beams, stainless steel stairs, OSB plywood, and other materials that blend in with the original storage unit was used to create an intuitive space with excellent usability. The average age of the 44,000 population in Namhaegun is 53.4. Three babies were born last year. People are leaving Namhae as careers in fishing and agriculture becomes harder, and so passionate and talented young people visiting this slowly emptying neighbourhood is a welcome sight. What is more is that these people not only visit Namhae to vacation and sightsee, but also to decide whether to make a living there. However, we do need to take into account the fact that the local residents may feel uncomfortable and unacquainted with these new people, and that a new local economy now centred around art museum exhibitions and cafes will be dependent on the sporadic spending of occasional visitors.